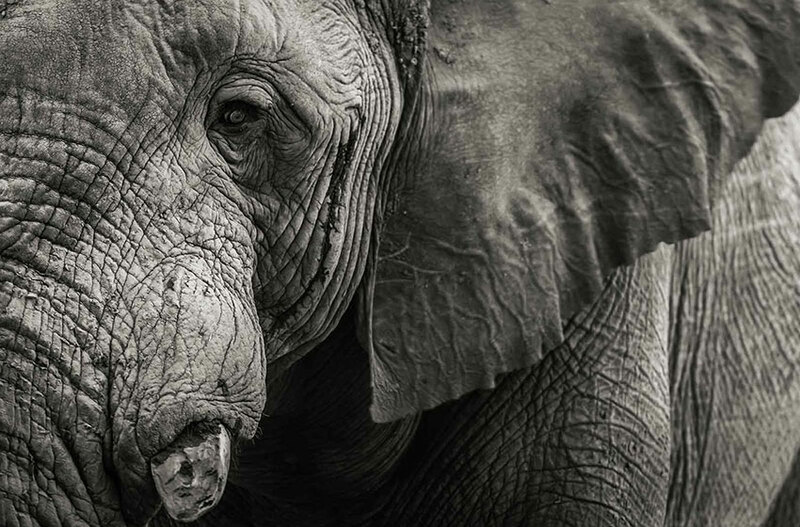 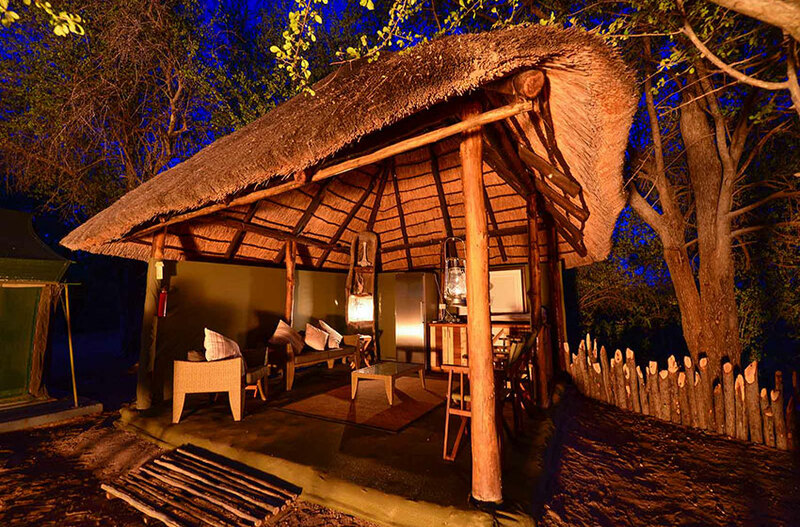 Tuskers Bush Camp lies between Nxai Pan National Park in the east and Moremi Game Reserve in the west. 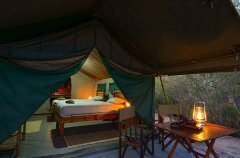 It encompasses 365 000 hectares of pure wildereness, making this exclusive tract of land ideal for game drives and walking safaris. 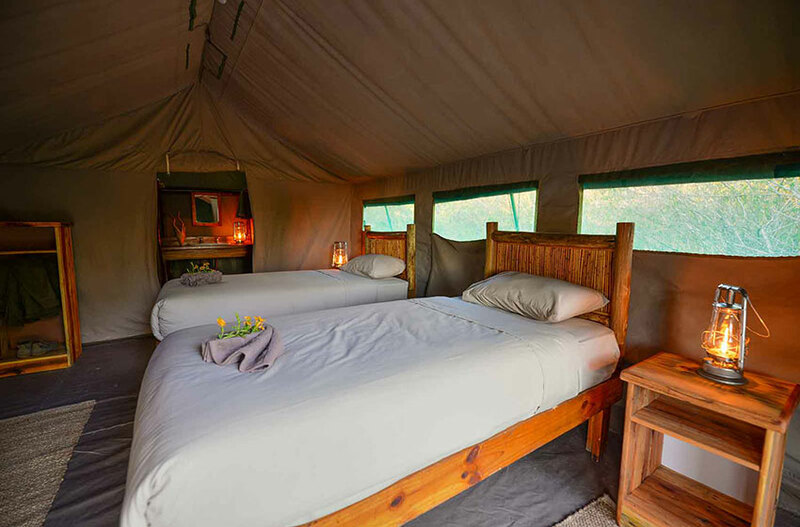 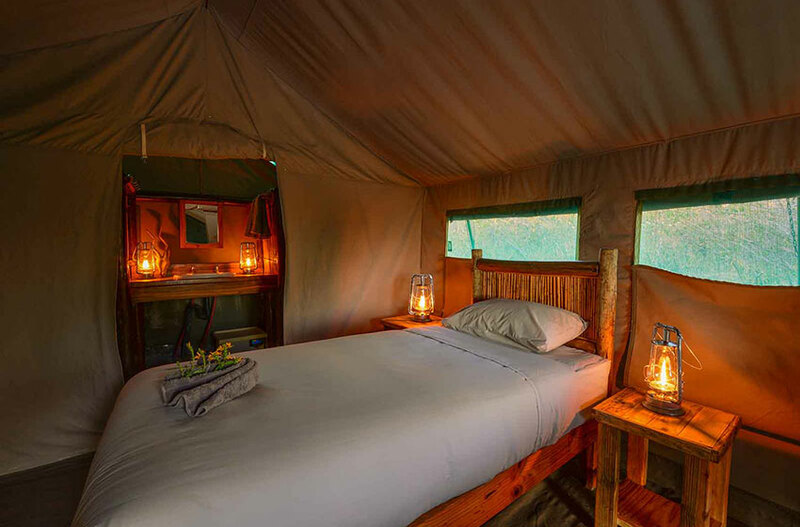 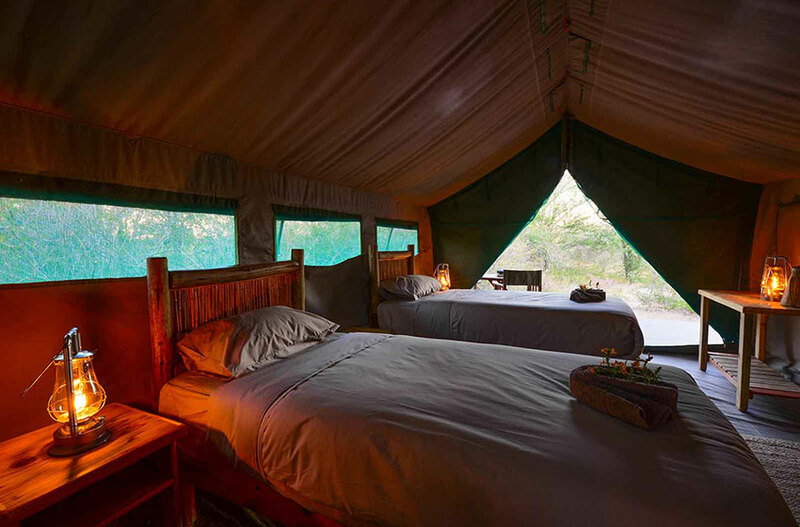 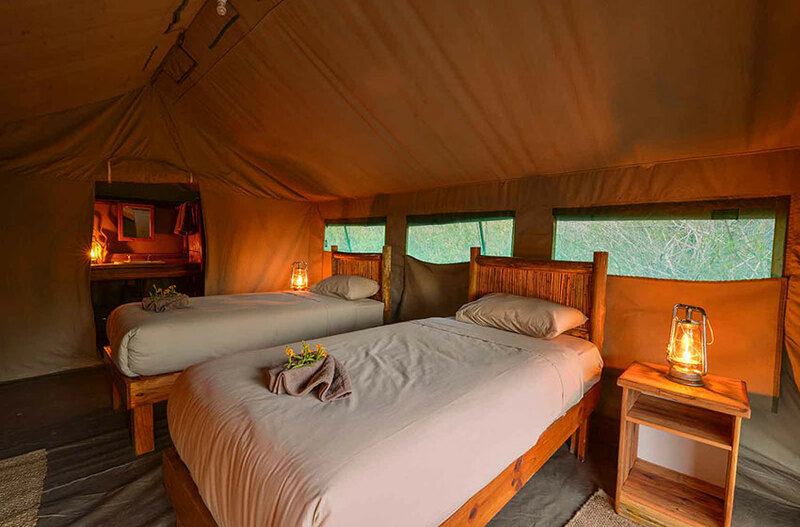 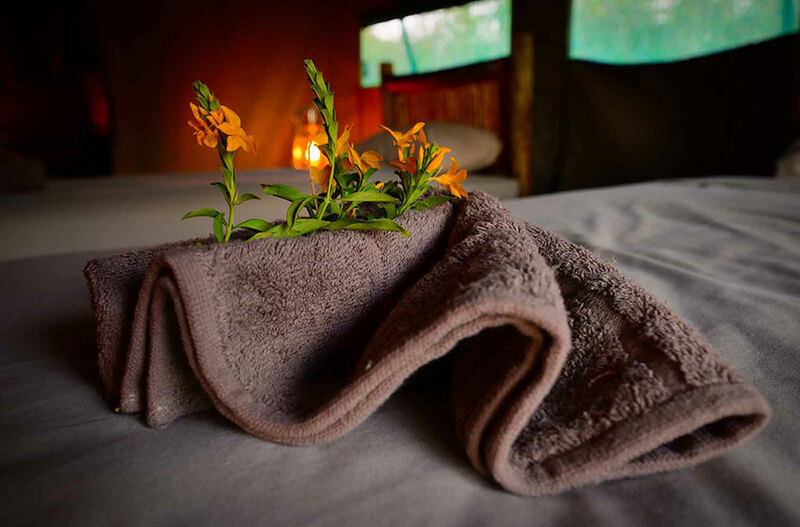 6 Meru-style canvas safari tents are located between Kalahari Acacia trees, looking out into the veld and offering guests seclusion and privacy during their stay. 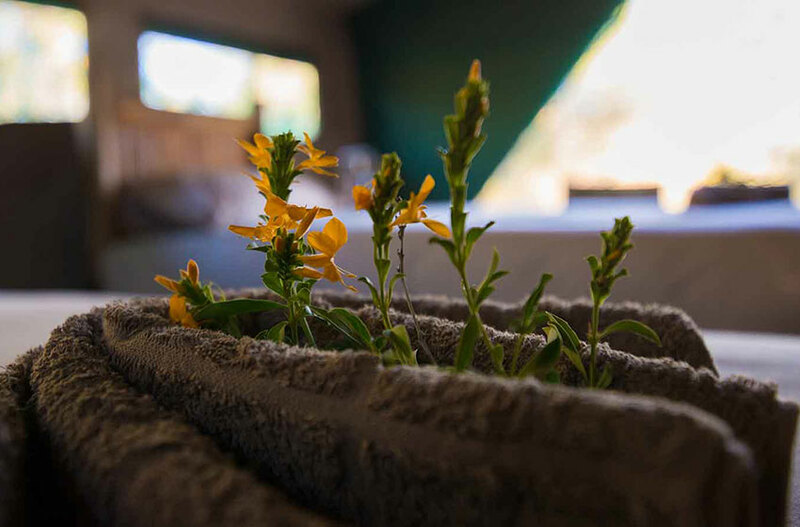 En suite bathrooms comply with the sustainable construction of the camp, with heated bucket showers and flush toilets. The main dining tent, boma, bar, and swimming pool overlook a bustling waterhole, and the free-flow of animals create a wild and untamed ambience throughout. 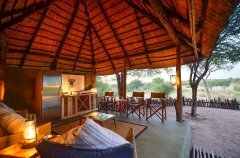 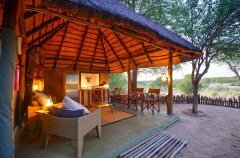 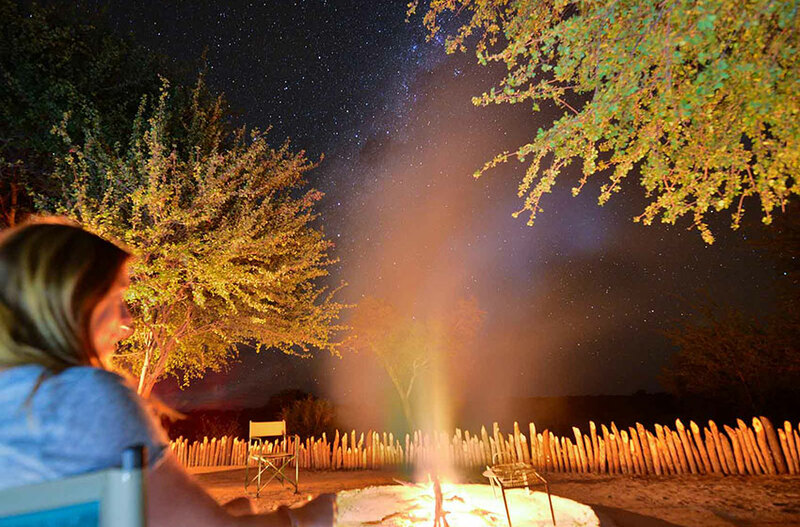 Tuskers is a true canvas bush camp with added luxuries and an emphasis on its sublime location. 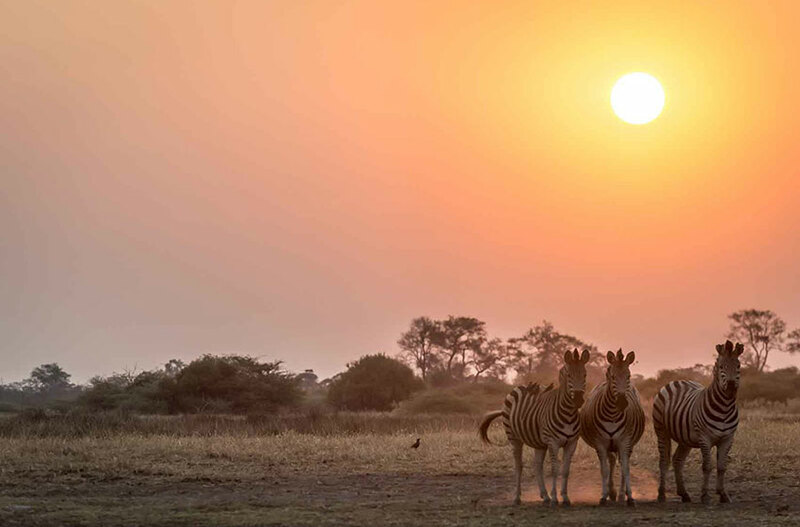 Before dinner, it’s customary to reign in golden hour with a drink. We took advantage of this traditional sundowner drink session that is popular with those conducting game drives; and built the “Bush Bar”! It was decided that, instead of stopping and hovering around the vehicle’s bonnet, a bar was necessary. Forget the glitz and glam of the city – this bar is rustic and is constructed from natural wood sourced from the area. The remoteness of this location makes the presence of baobabs even more mesmerising. 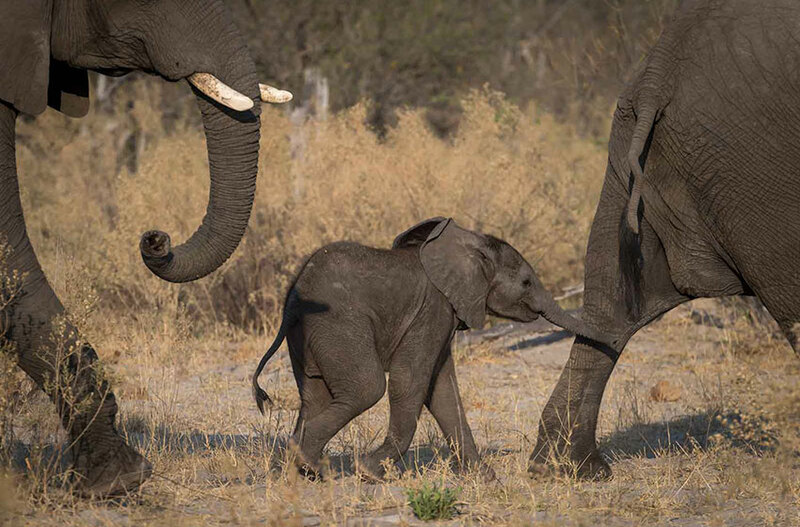 Like stumbling across a figure of history, meeting a living being entering the millennial stages of its life on earth. 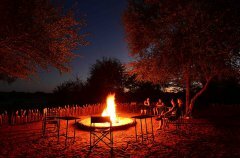 What must these giant trees have seen, before Botswana became the popular destination it is today? 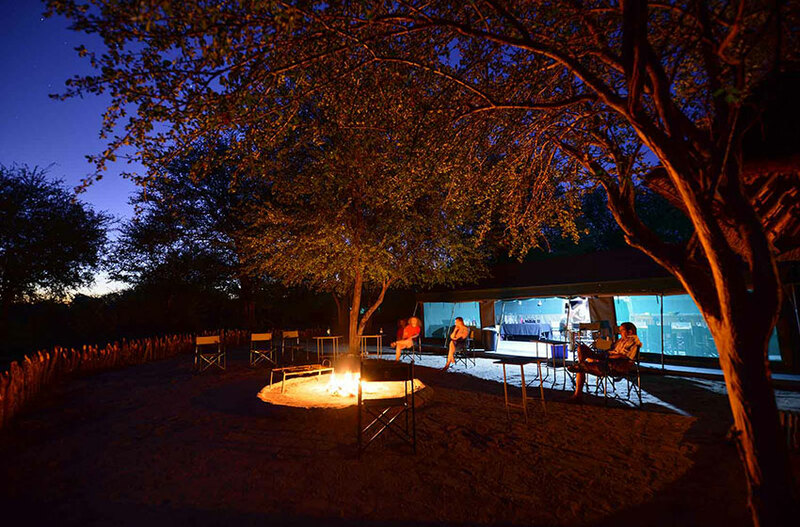 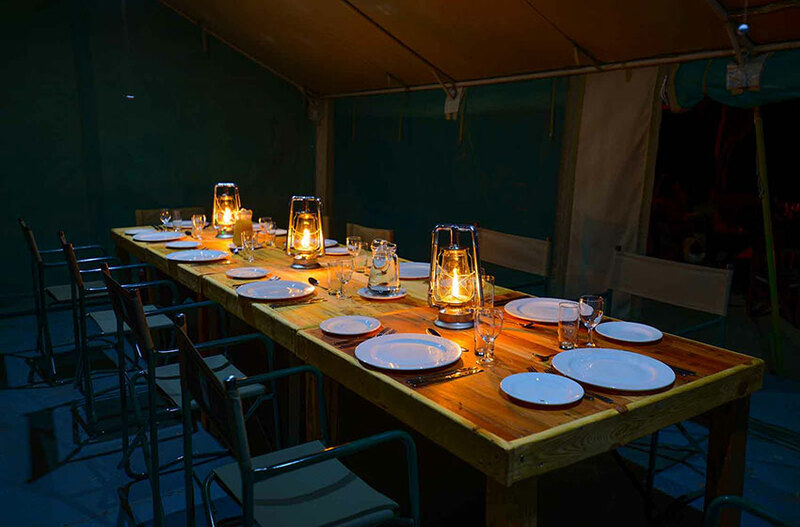 The isolated location of these trees keep it a secret to the rest of the world, but guests at Tuskers Bush Camp are treated to an evening dining experience at this scenic site of natural history. 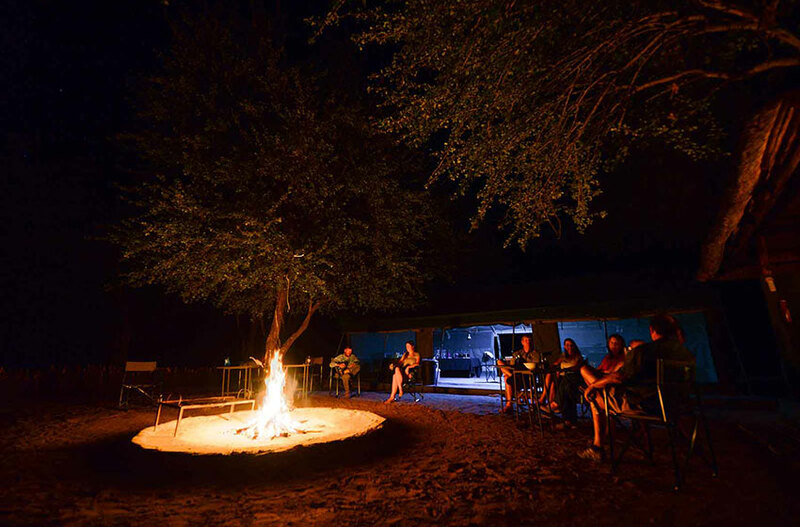 A Baobab Bush Dinner is a scrumptious celebration between friends in one of the most undiscovered locations in wild Botswana. 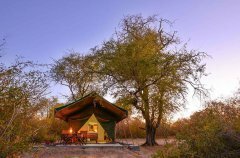 All meals, game activities (morning and afternoon/night drives and walking safaris offered between May to September), teas & coffees, bottled water, taxes & Botswana bed levy, emergency medical evacuation insurance. 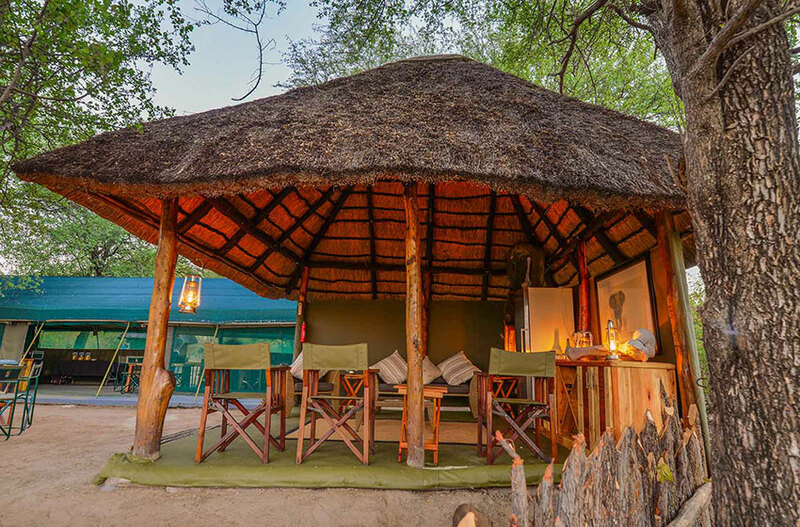 All drinks, Moremi park entry fee if electing to participate in the Full Day Moremi Day Trip (BWP120 per person), gratuities, all items of a personal nature, any item not described above. Please note that the camp is only accessible with a proper 4 x 4 vehcile. 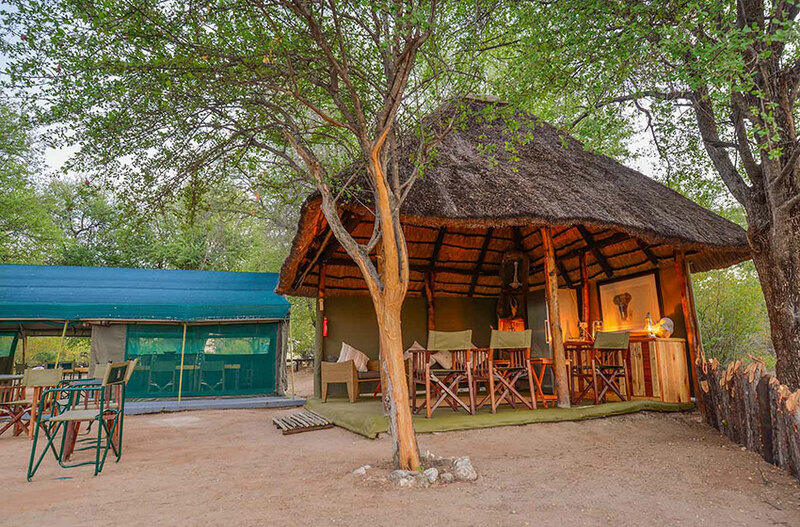 The below road transfers can be booked through Tuskers reservations in conjunction with a stay at Tuskers Bush Camp. 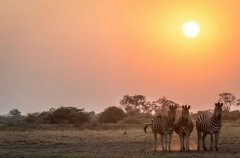 Please note that the road transfers are scheduled to tie in with the arrival and departure of flights into and out of Maun. As such the transfers are scheduled and not private. Tuskers Bush Camp is accessed via a road transfer from Maun Airport, or via a combination of a boat & road transfer from Xobega Island Camp. 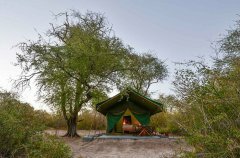 Essentially Maun Airport serves as the airstrip for Tuskers Bush Camp, so getting between Tuskers Bush Camp and either of Camp Savuti or Camp Linyanti will be via a flight from the Savuti or Saile airstrips to Maun and then a road transfer to Tuskers Bush Camp and vice-versa. In addition, guests not wanting to road transfer between Xobega and Tuskers, can fly from the Xakanaxa airstrip to Maun and then a road transfer to Tuskers and versa. 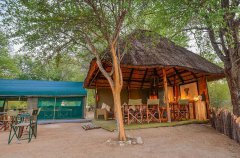 Tuskers is located only an hour’s drive from Maun, and is easily and afforably accessed by self-drivers from Maun Airport. 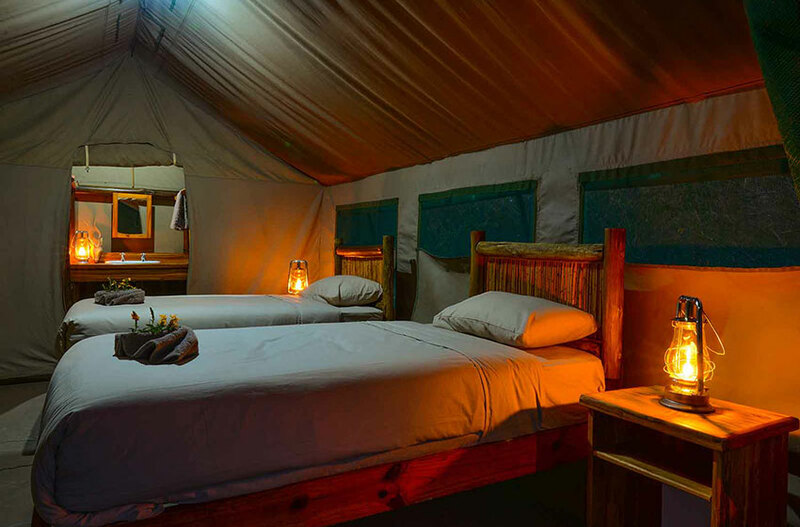 Alternatively, a road transfer from the airport to the camp can be arranged. Self-drivers travelling from Maun Airport will exit Maun in the direction of Mababe on the Seretse Khama road,through the village of Shorobe (gravel road begins), and cross the vet fence. 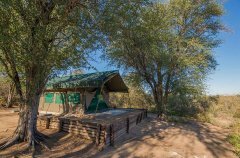 Turn right driving next to the fence on the gravel road for +/- 15km to Tuskers Safari Camp. 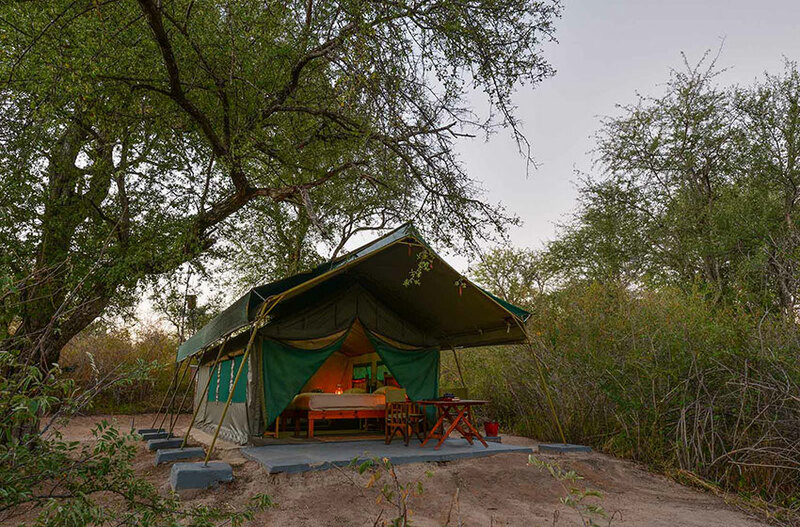 Children aged 6 and over are welcome at Tuskers Bush Camp, but parents are reminded that it is an unfenced camp and children are to be supervised at all times. to February is hot and wet. 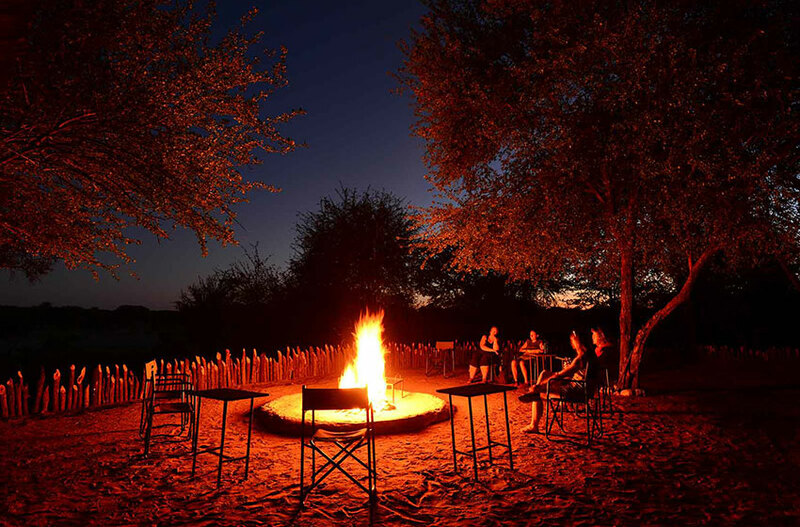 Temperatures in summer soar as high as 40°C bringing warm nights and humidity levels fluctuating between 50% and 80%. The average annual rainfall is 450mm and most of it falls between December and March in the form of heavy afternoon thunderstorms. In contrast, the winter nights can drop to barely above freezing in the Delta and the desert, although daytime temperatures at this time of year are mild to warm. 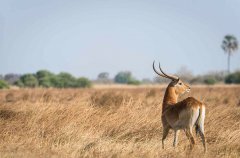 The birdlife in Botswana is no exception to the fantastic collection of wild creatures that call this country home.The many waterways of the Okavango Delta and Moremi create a habitat for many water birds, while raptors soar overhead, and melodious larks disguise themselves in the scrub. 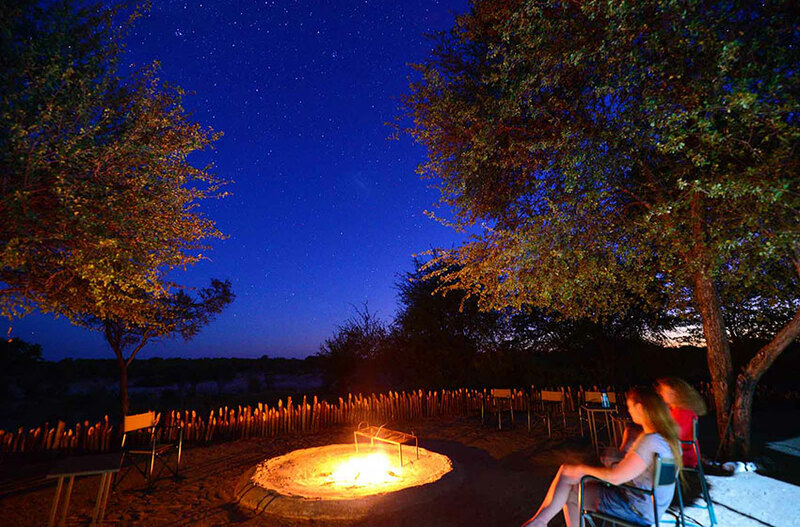 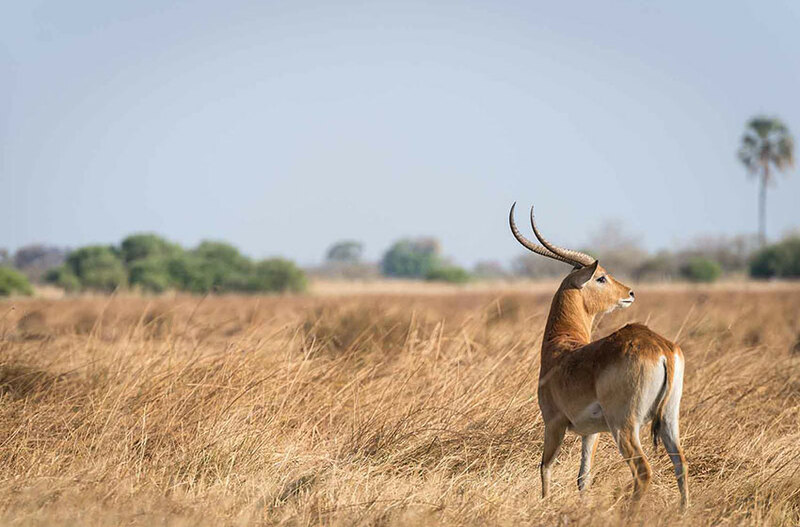 Between Nxai Pan National Park in the east and Moremi Game Reserve in the west, lies a magical 365 000 hectares of pristine wilderness paradise. 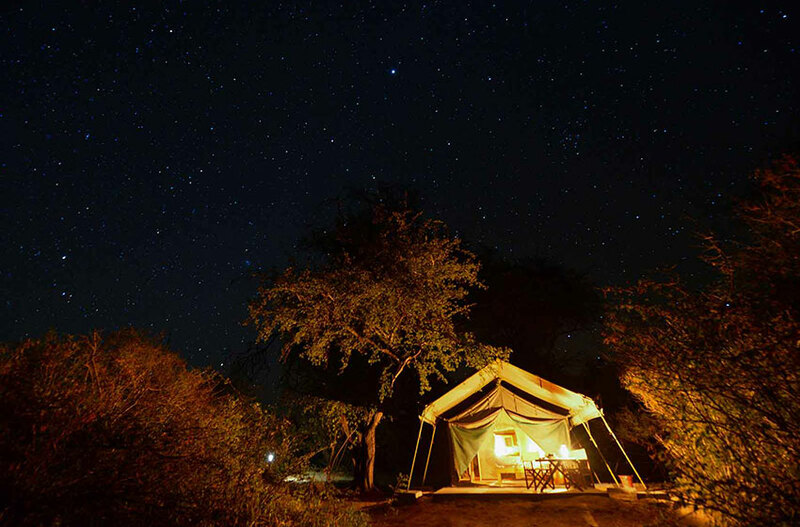 This secret tract of land is an adventurer’s dream and an explorer’s heaven! 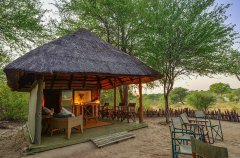 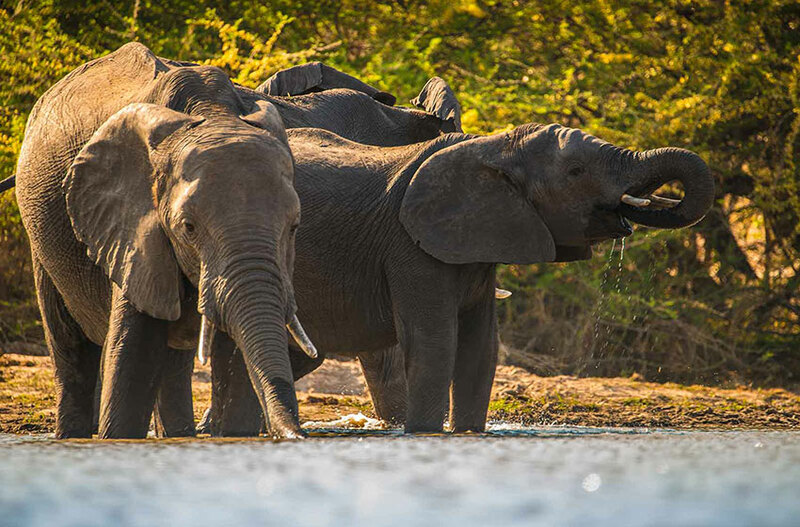 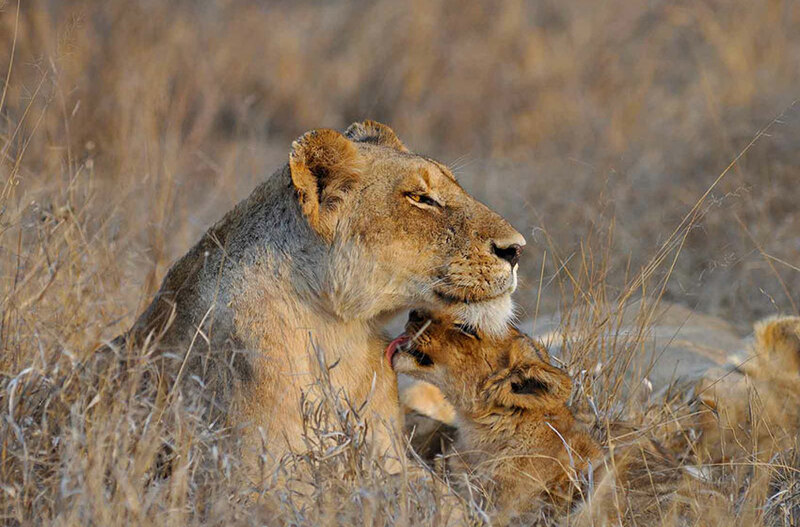 The area is exclusive to Tuskers Bush Camp, which makes game drives and bush walks a never ending stream of sightings. 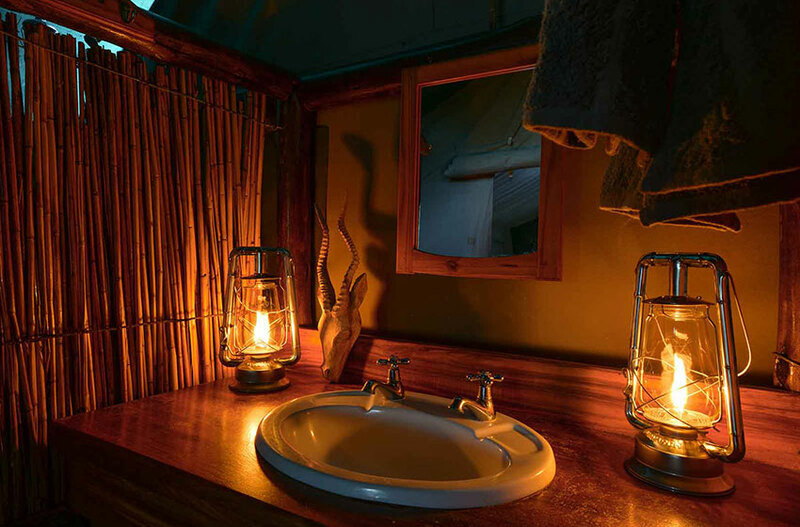 Accommodation wise, Tuskers ensures exclusivity and privacy for discerning guests. 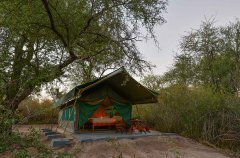 6 Meru-style canvas safari tents lie spaciously dotted among unforgiving Kalahari Acacia trees, creating a complete archetype of a Botswana safari. 1. Idyllic Location of Camp	2. 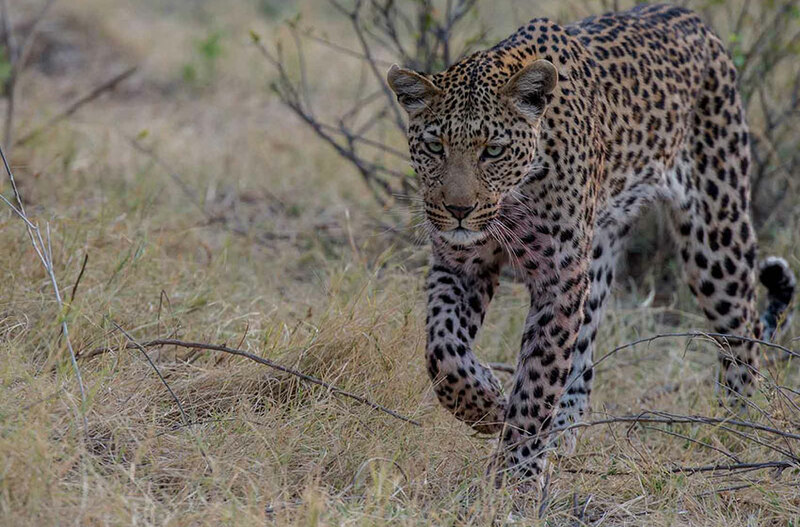 A Massive and Exclusive Traversing Area	3. 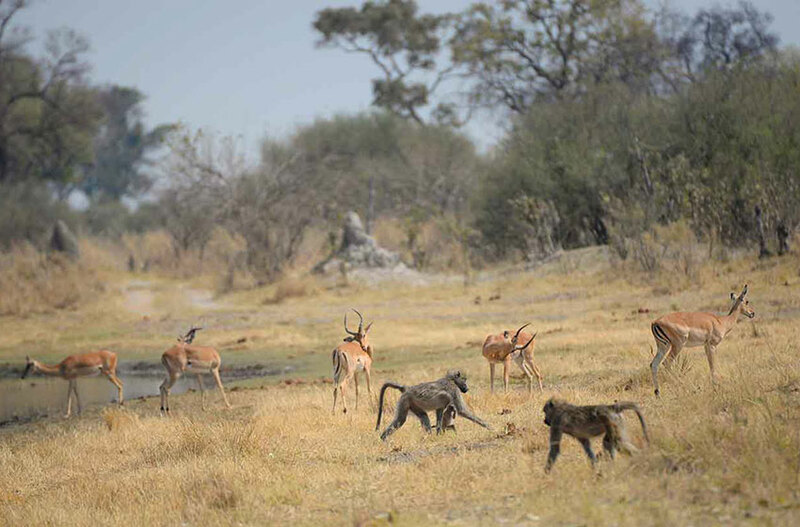 Variety of Game Viewing	4. 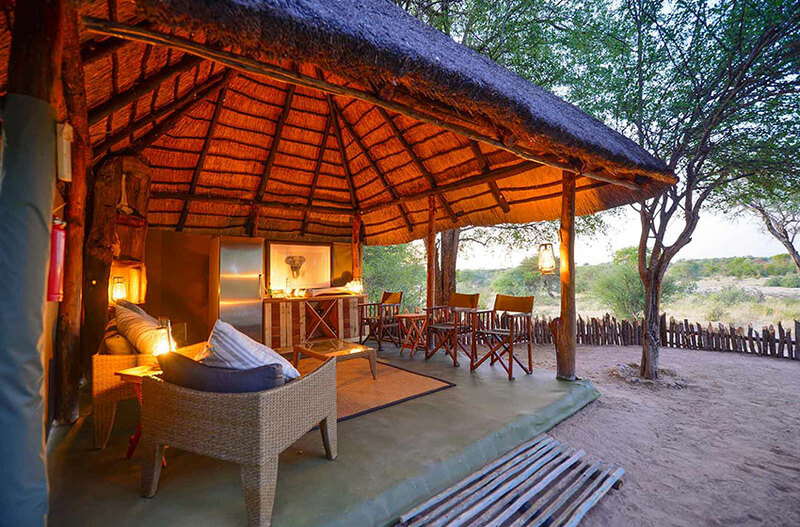 Range of Activities on Offer: Guests visiting Tuskers can also enjoy full day safaris into Khwai and Moremi Game Reserve, so this adds an even greater dimension to your safari experience. Maun Airport to TuskersBush Camp:Tuskers Bush Camp is located only an hour’s drive from Maun, and is easily and afforably accessed by self-drivers from Maun Airport.Alternatively, a road transfer from the airport to the camp can be arranged.Self-drivers travelling from Maun will exit the airport on Airport Rd and turn left at the stop street meeting Sir Seretse Khama Rd. 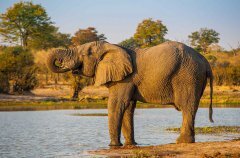 Continue on Sir Seretse Khama Rd until you exit Maun town, cross the Thamalakane River and arrive at a roundabout. 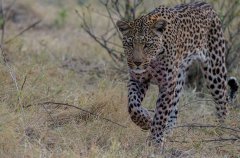 Take the first exit left off the roundabout and continue in the direction of Mababe.The road becomes a gravel road and you will cross the vet fence. Continue straight on the gravel road until turning right onto another gravel road and drive along the fence for +-15km until reaching Tuskers Bush Camp.